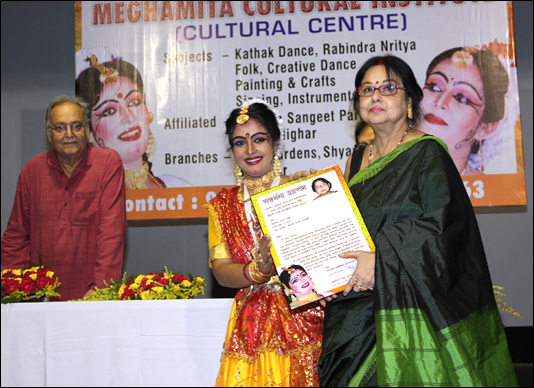 Meghamita Mitra, a versatile kathak Performer, started her career at the early age of three, under the guidance and training of Smt. 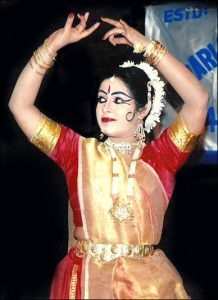 Susmita Mishra (The Guruma – the renowned exponent of Jaipur Gharana). 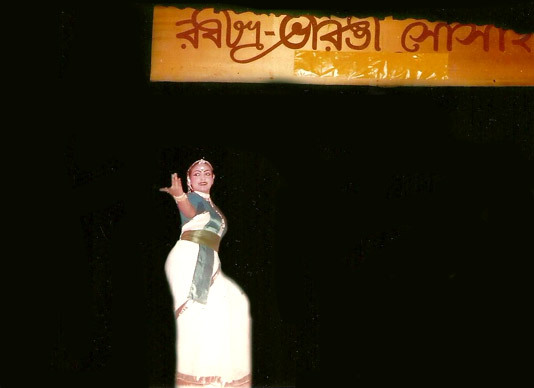 Till date she continues to perform under her guidance. 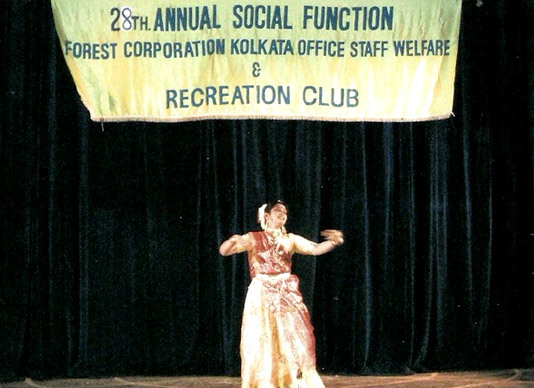 Meghamita is a graduate in B. Sc from Calcutta University, she has completed her Master’s Degree from Rabindra Bharati University. 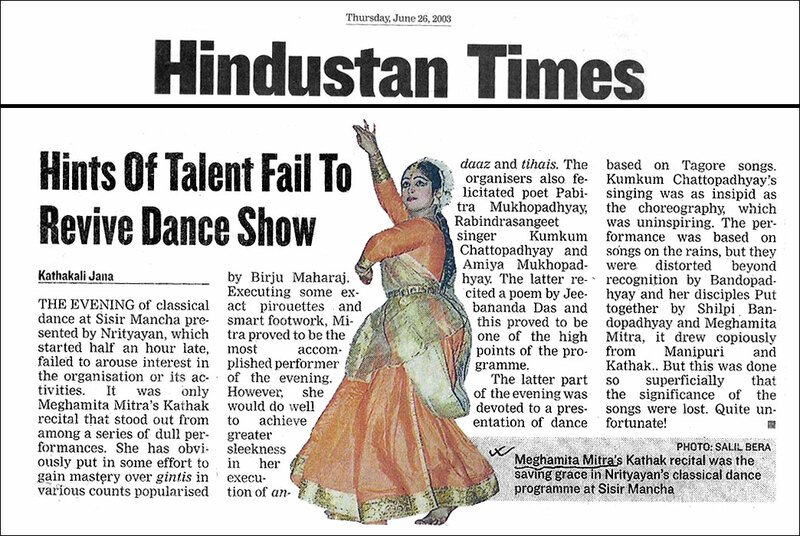 She mastered her unique style of Kathak through various dance performance across the country. 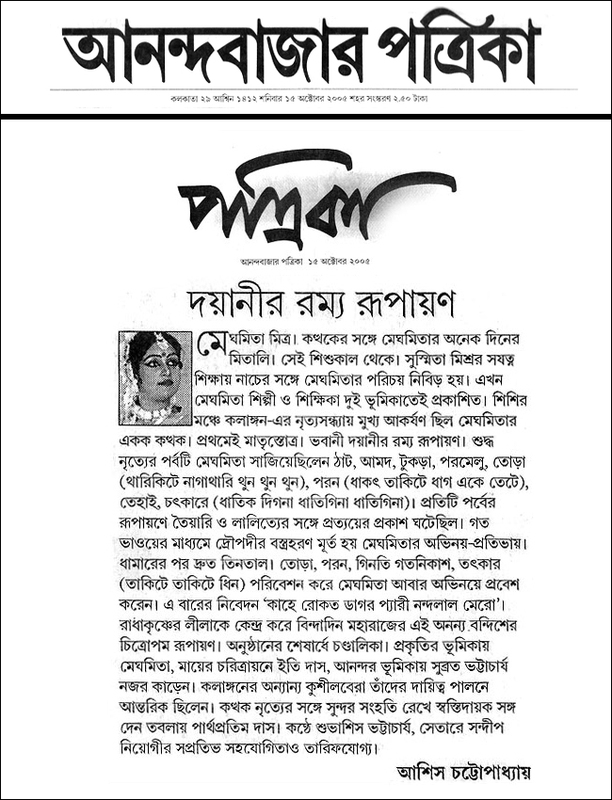 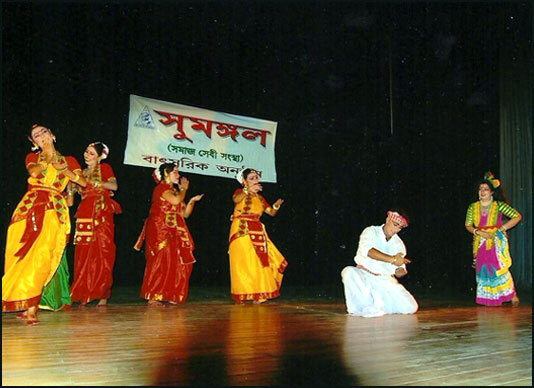 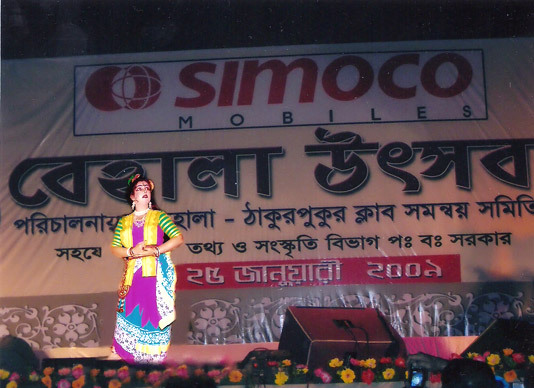 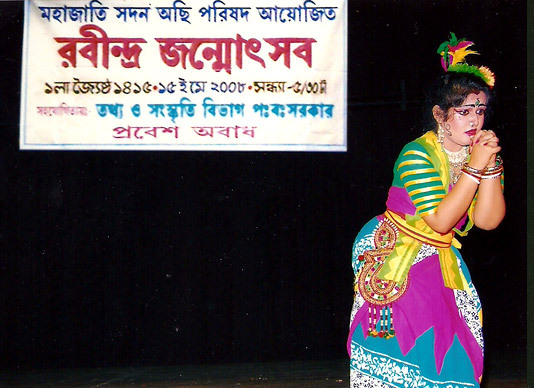 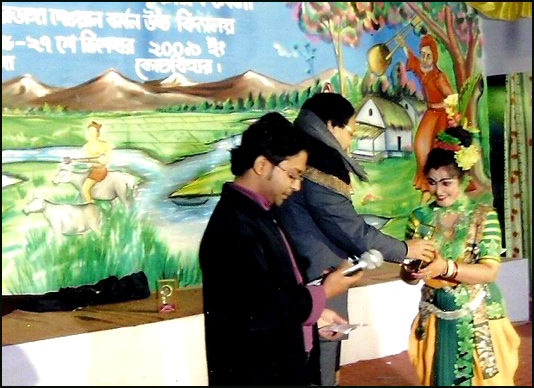 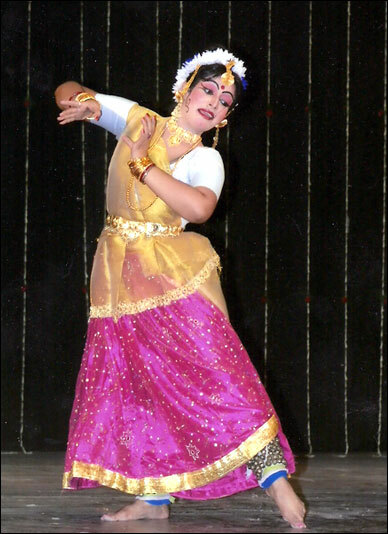 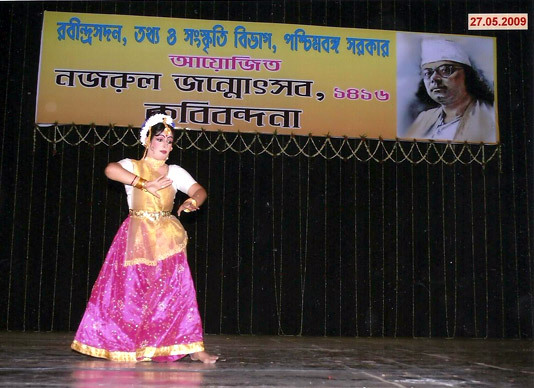 Moreover, she is also an expertise in other dance forms, namely Rabindranritya, Folk and creative dance. 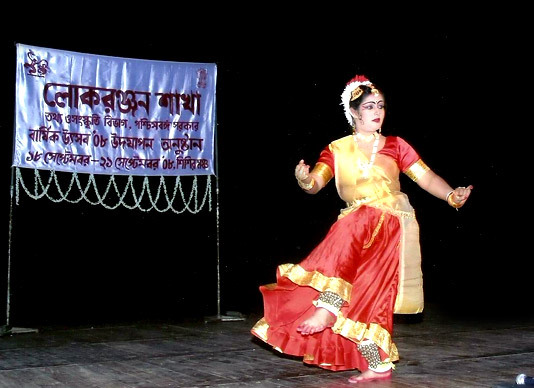 She has also got distinctions in the field of Kathak and Rabindra Nritya. 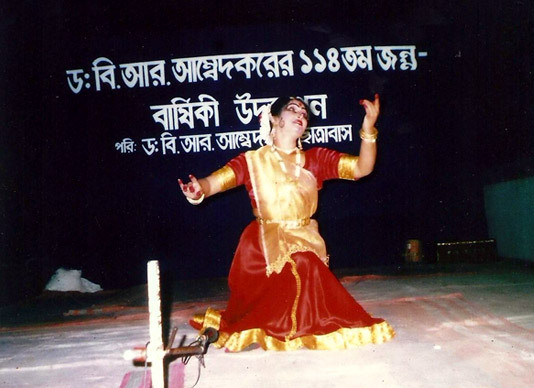 1st class (First in Kathak practical) from Rabindra Bharati University. 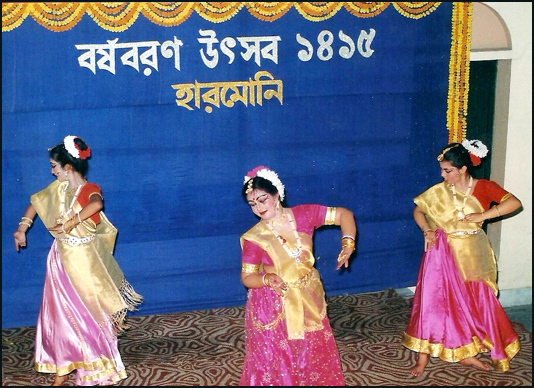 Stood First position in “Inter Calcutta School Competition – Kathak Dance” organized by Education Department Government of West Bengal 1988 and received award from the hands of Governor of West Bengal Prof. Nurul Hassan at Raj Bhaban & performed solo Kathak at Governor House. 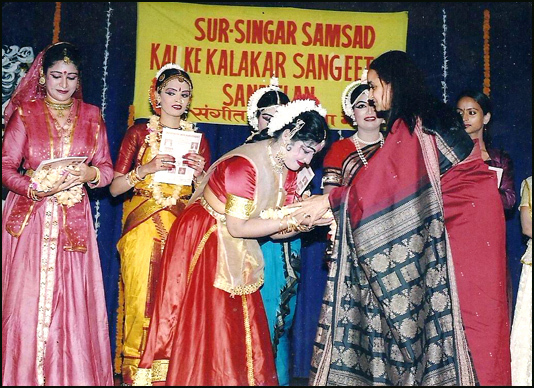 Stood second position in all India Dance competition organized by Prayag Sangeet Samity (Allahabad) 1985 and received Award from the hands of Central Minister. 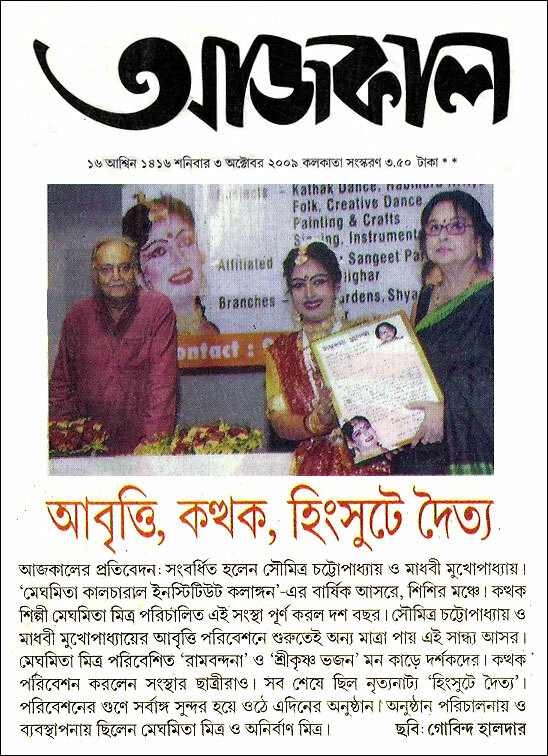 Stood third position in “Nehru Talent Search Award” Kathak Dance organized by Nehru Children Museum and received award from the hands of Mr. Prasanta Sur (Education Minister & Mayor of WEST BENGAL GOVT). 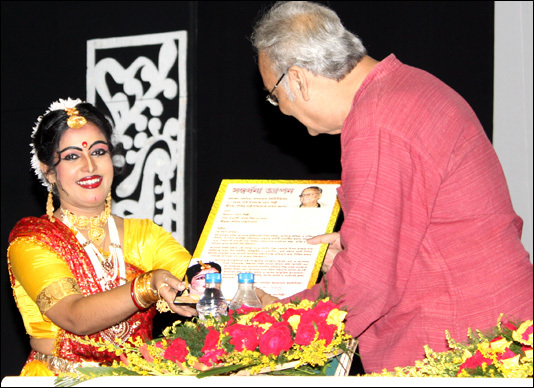 Participated in Kathak Seminar in presence of Pdt. 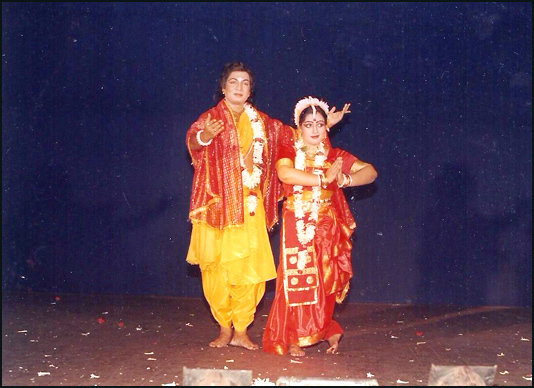 Birju Maharaj, Dr. Kapila Vatsayana, Dr. Sunil Kothari, Advocate Shamanand Jalan etc in the year at 1999. 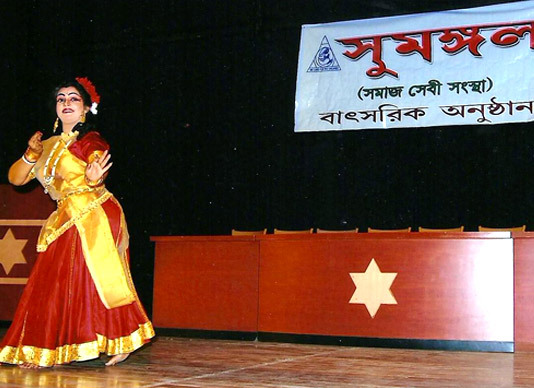 Examiner of RABINDRA BHARATI UNIVERSITY.